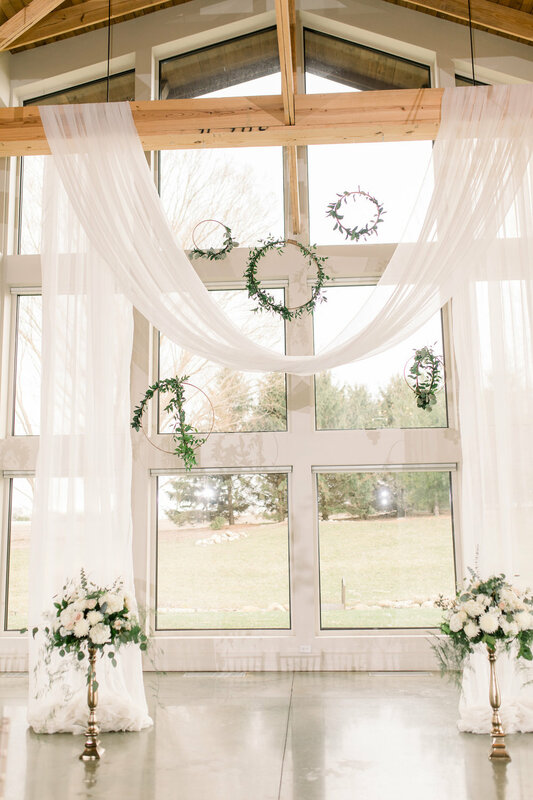 What’s better than a beautifully decorated whimsical wedding? 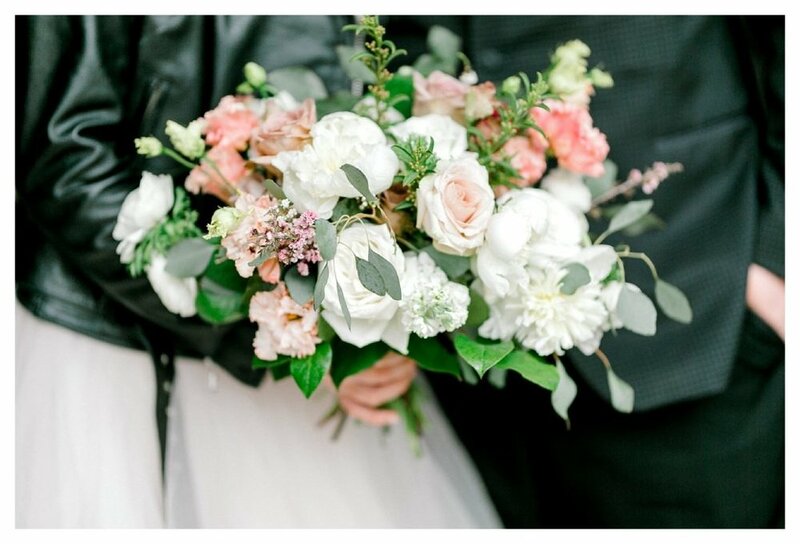 A beautifully decorated whimsical wedding, featuring a bride who is also bold enough to rock a black leather jacket! 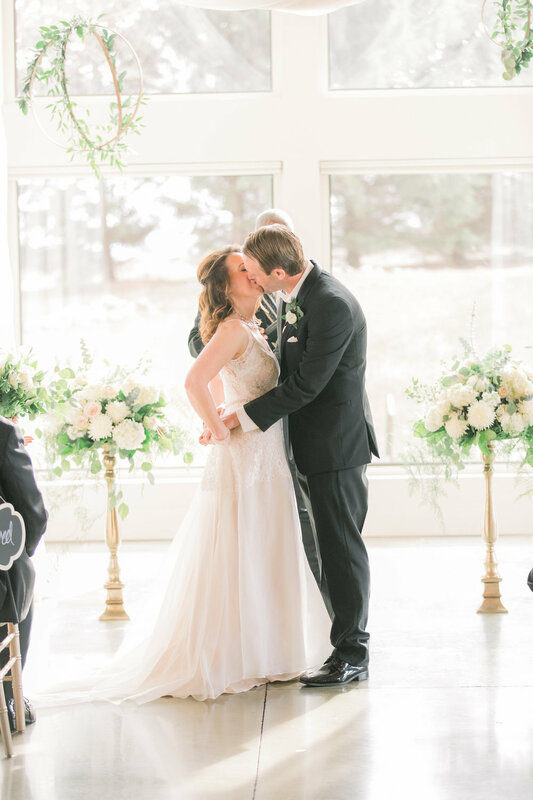 We were amazed by Alex’s impeccable taste in style ( I mean, check out that STUNNING Stella York gown) as well as her floral color palette. 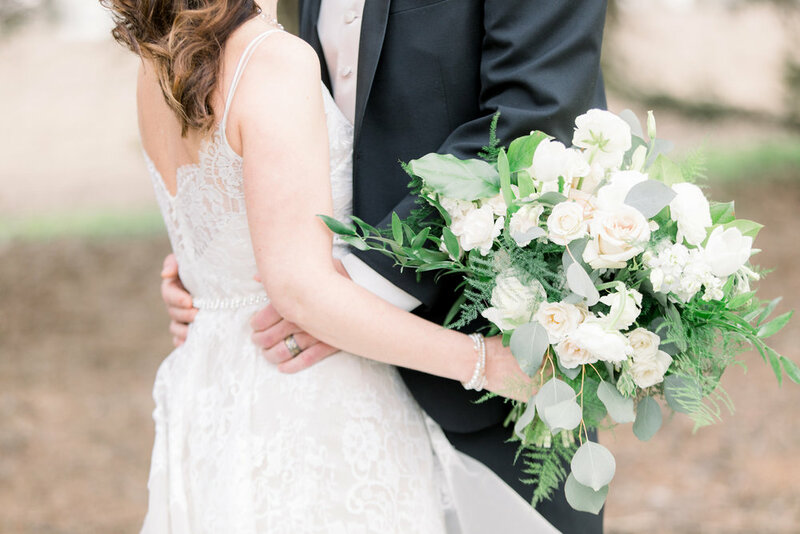 Wild, organic stems of eucalyptus, blush lisianthus, and white ranunculus are what you see throughout Alex’s bouquet. 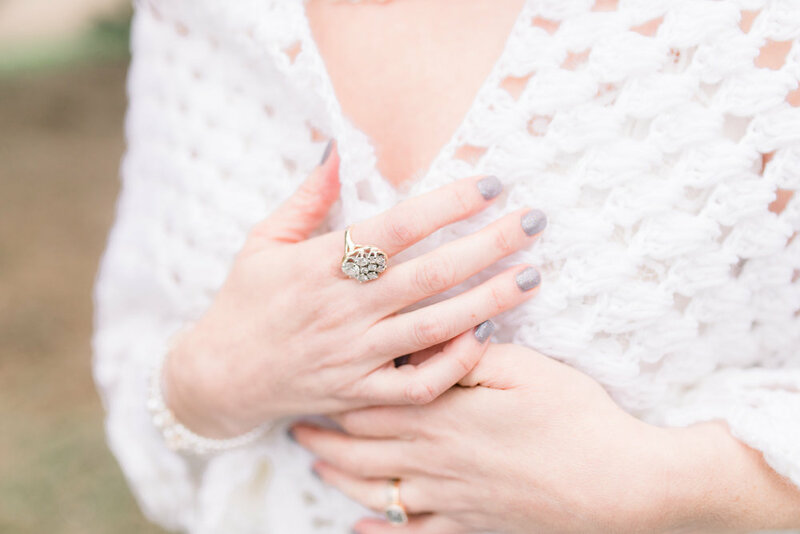 Brides, don’t be afraid to mix femininity with masculine touches. That soft kiss of blush against the fierce backdrop of Alex’s leather jacket will have us fist-pumping all of our days. Flatlays are some of our favorite shots, because they provide sweet little snapshots into the details of the day. 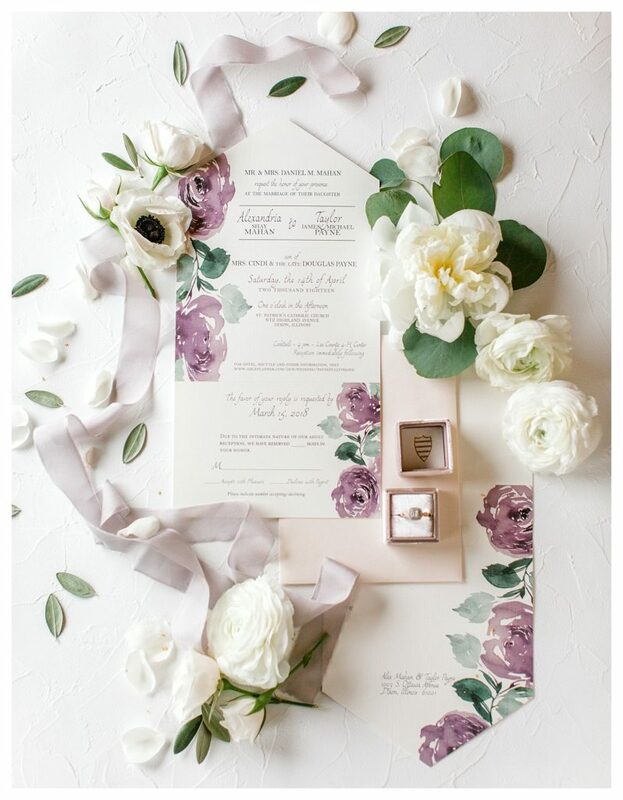 These images by Rachel Osborn are styled so intricately and delicately - by adding in some of our own flower product as props, Jordan from Ever After Planning really made this stationary pop! 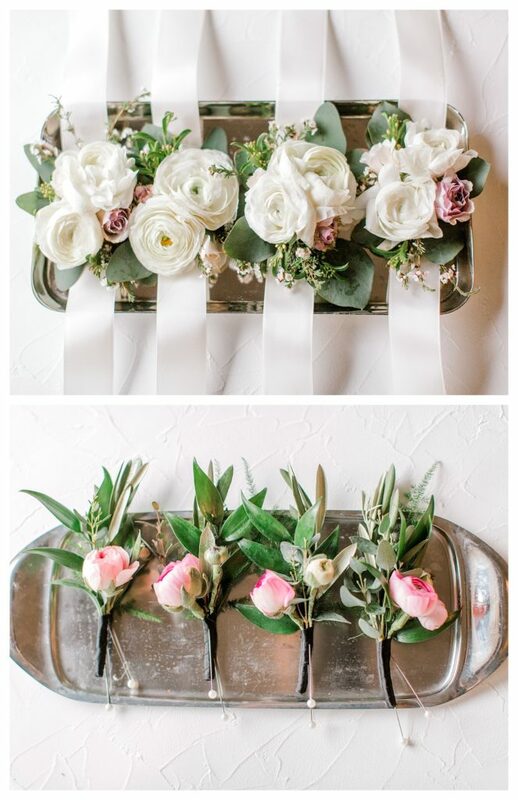 Who says corsages and boutonnieres all have to look the same? 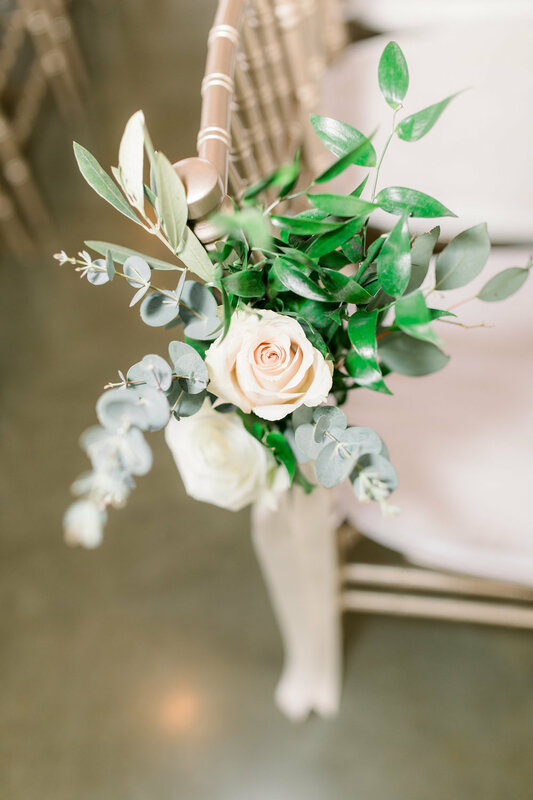 Alex invited us to get a little creative with the design and we think these white and blush ranunculus and ivory ribbons really set the tone for such an ethereal vision. Have you ever seen an entire gang of bridesmaids in leather jackets? If this is the new trend, we’ll be the first to jump on board! 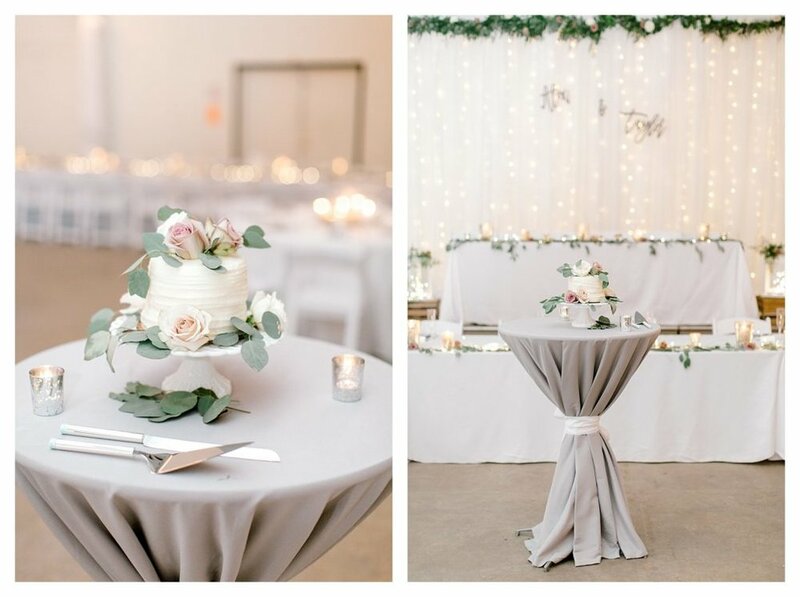 The tablescapes were kept simple, with lots of candles and just a runner of greenery and the occasional antique rose head here and there, but that head table speaks for itself on stage, showcasing a 20 foot long garland! 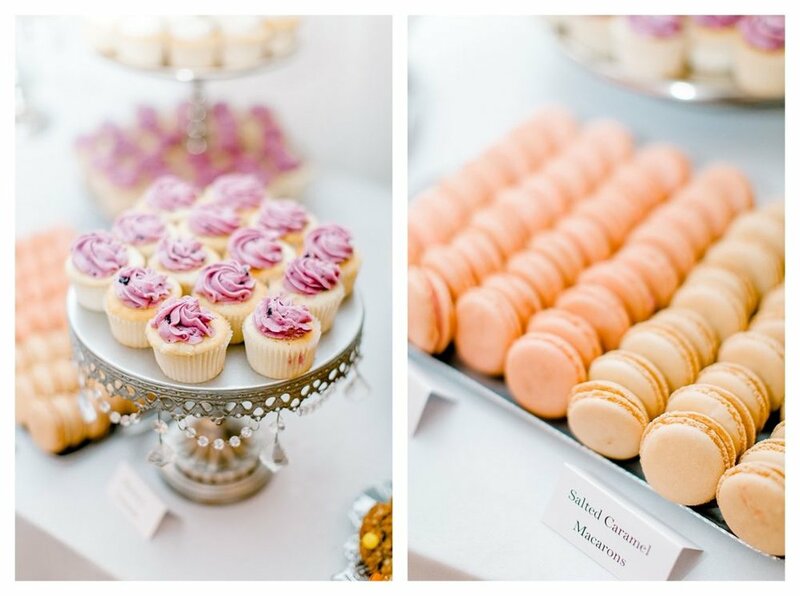 The bride and groom’s guests got to chow down on a feast of our salted caramel macarons, white chocolate raspberry cupcakes, chocolate chip cookies, and last of all our famous raspberry macarons. Did we mention macarons already? Alex and Taylor, we count it a blessing to be able to say that we were among the 400 lucky people who can say they were a part of the most special day of your lives. 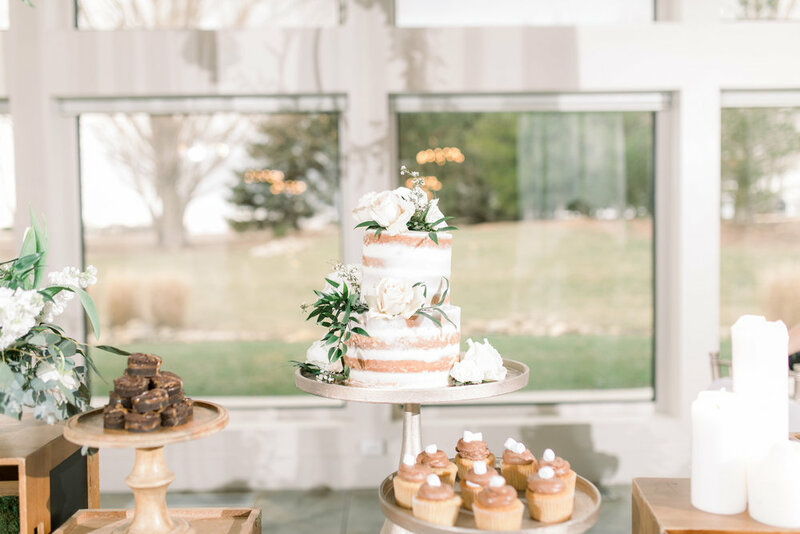 Thank you for choosing Pollen & Pastry to be your florist and baker! 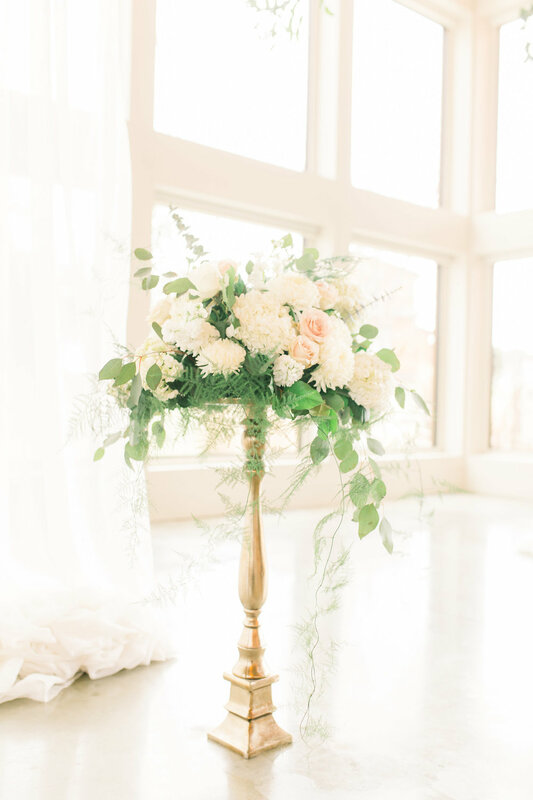 Rachel Osborn Photography and Ever After Planning, thank you for your stunning work as always! 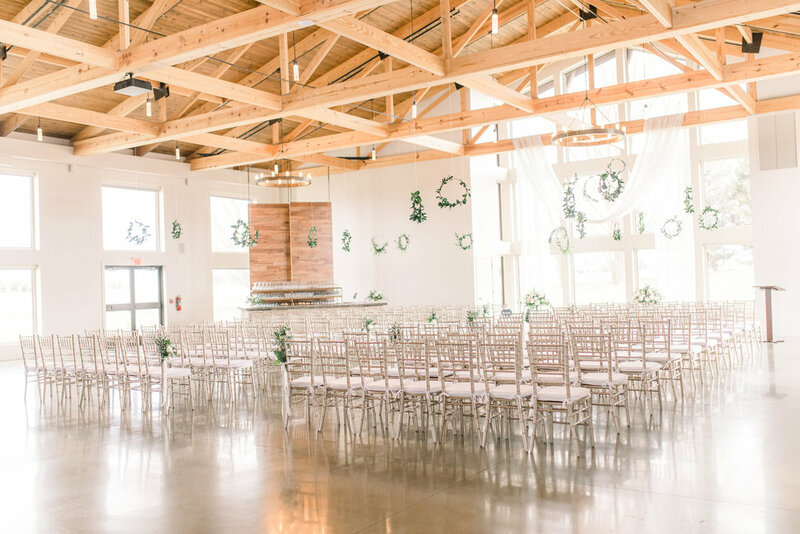 Molly described the vision for her wedding using the words romance, party and motorcycles. When you scroll down you'll see that she absolutely achieved that vision! Her venue, Warehouse 109 is one of my favorites and Molly and her family were the absolute sweetest to work with. Molly’s dark red/merlot and navy blue color scheme went perfectly with the venue and her pink hair! Cascading bouquets are some of my favorite to make and Molly’s bouquet featured red hanging amaranthus, Quicksand roses, burgundy scabiosa, lisianthus, and several foliages to give that draping effect. 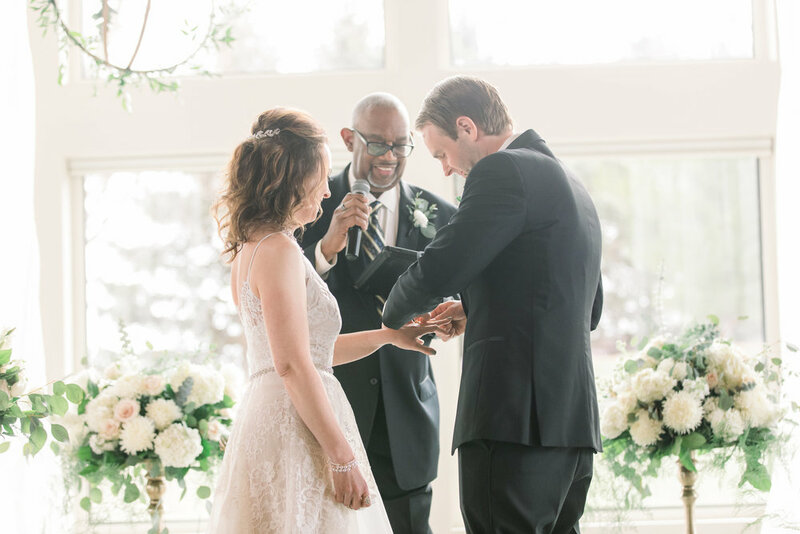 Lace from the mother of the bride’s dress was used to wrap the bouquet handle for the perfect finishing detail. We created compote centerpieces for the head table and surrounded the couple’s Sailor Jerry rum bottles with greenery on each table. 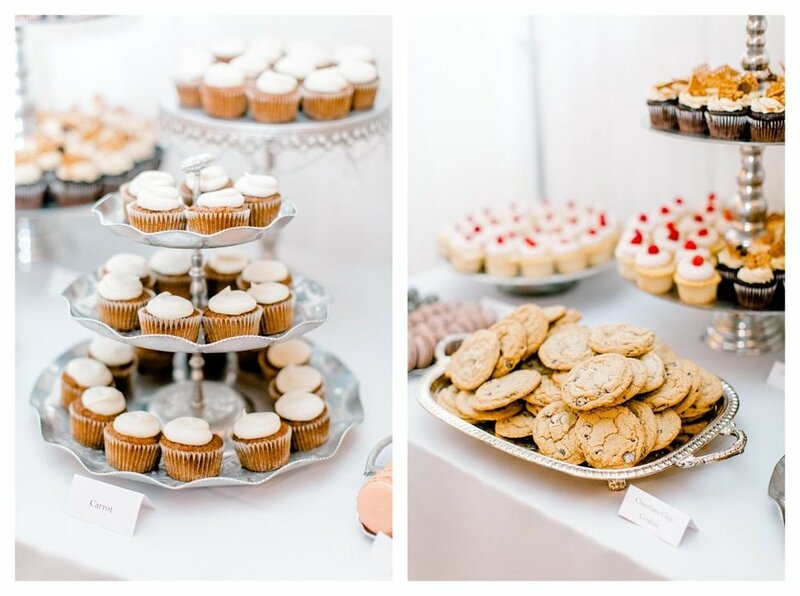 And the dessert table was filled with a variety of cupcake flavors, from red velvet, raspberry lemonade, nutella, chocolate chip cookie, to rice crispy. Congratulations Molly and Tyler! 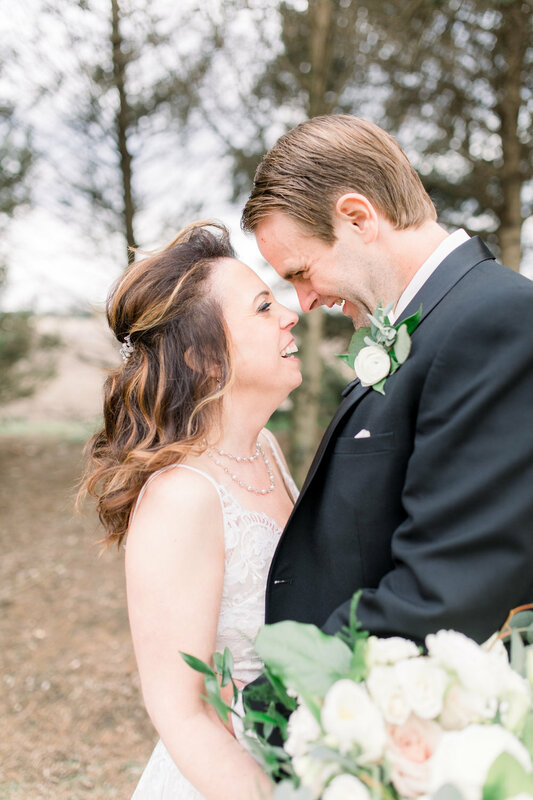 We absolutely loved playing a part in your wedding! 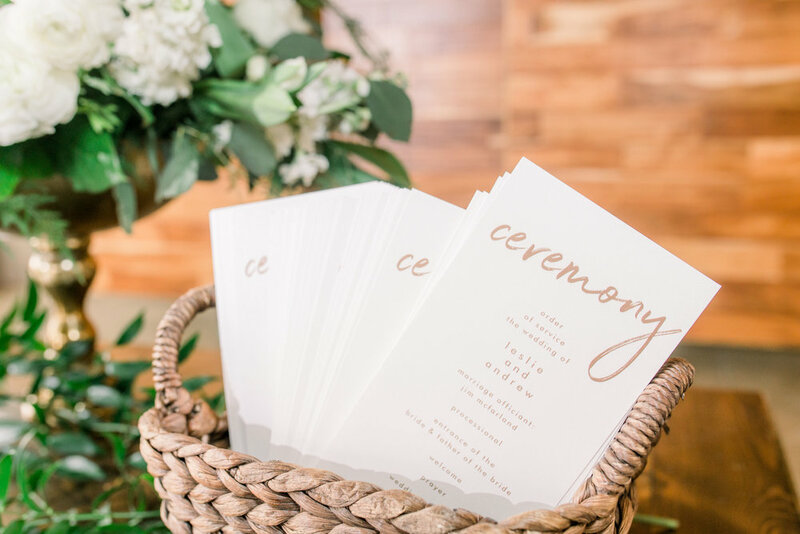 The three words Erin used to describe the vision for her wedding were rustic, romantic, and bright. I think the flowers we chose for her May wedding certainly achieved that! 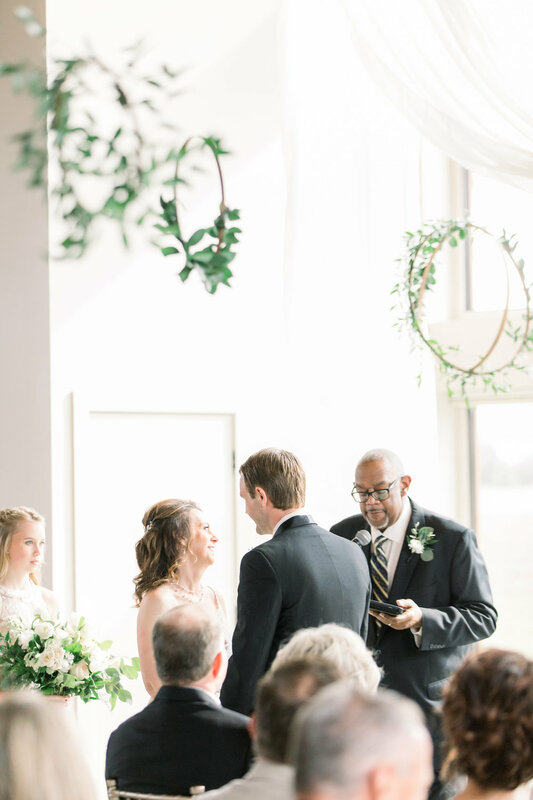 Paired with Dani Lang's gorgeous photography, this simple spring wedding was a treat last year! Dusty blues were a popular choice in 2017 and I think that will continue for 2018. 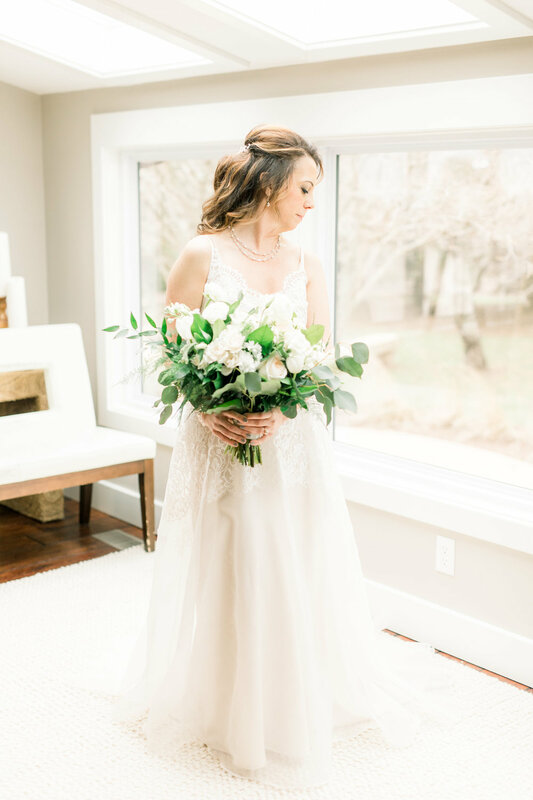 Erin's bouquet was made up of bright white roses, stock, and ranunculus with light blue delphinium for that pop of color. 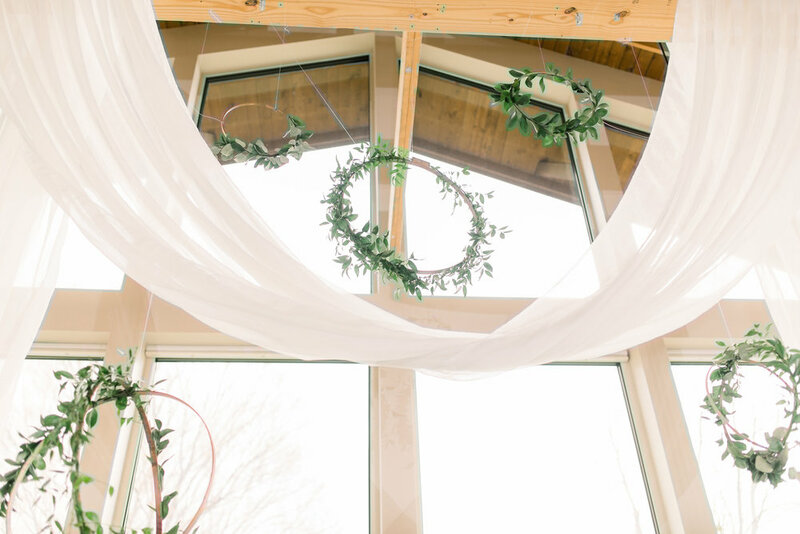 Silver dollar eucalyptus and Italian ruscus help soften the look.